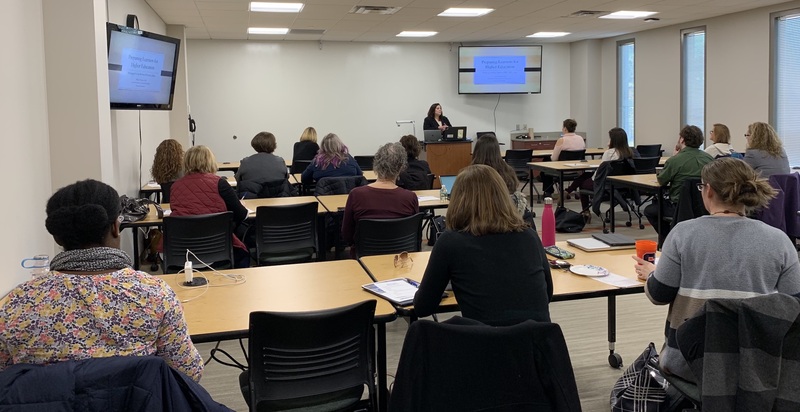 The first Successful Approaches to College Transitions conference, sponsored by the Northern NY Library Network (NNYLN), took place March 26, 2019, at Jefferson Community College Library. 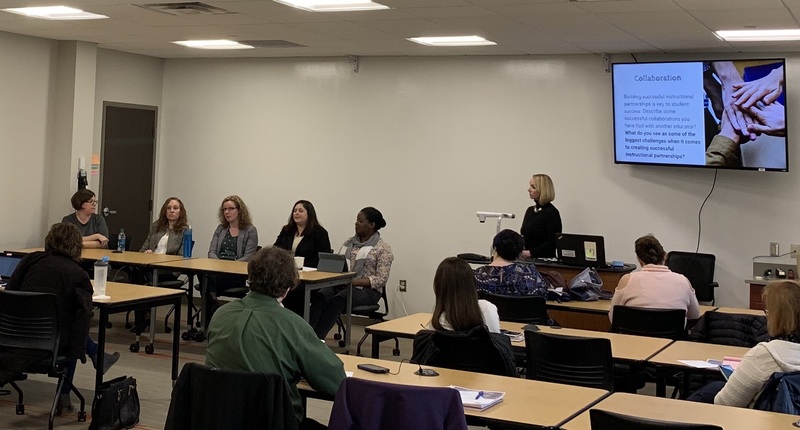 Librarians, teachers, and administrators representing public libraries, higher education institutions, and K-12 schools came together to consider the challenges that students encounter during the high school to college transition. The keynote, delivered by Ms. Tiffany Squires, Penn State College of Education, discussed ‘Bridging the Gap’ for students, specific obstacles faced, and means of guidance. In addition to the keynote, a reactionary panel of librarians and educators from SUNY Oswego and Thousand Islands HS discussed issues surrounding this topic. 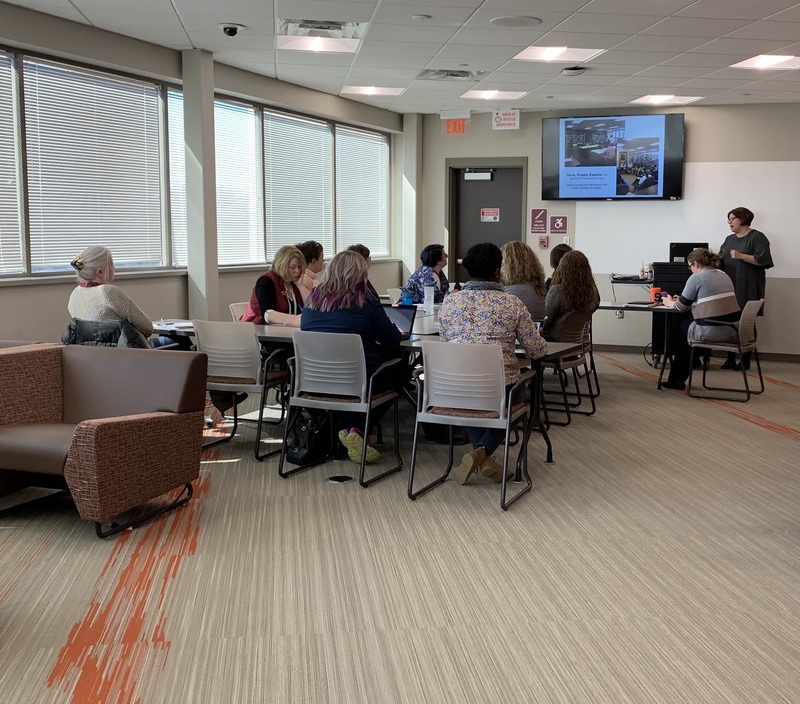 In the afternoon, two breakout sessions offered participants further learning opportunities. 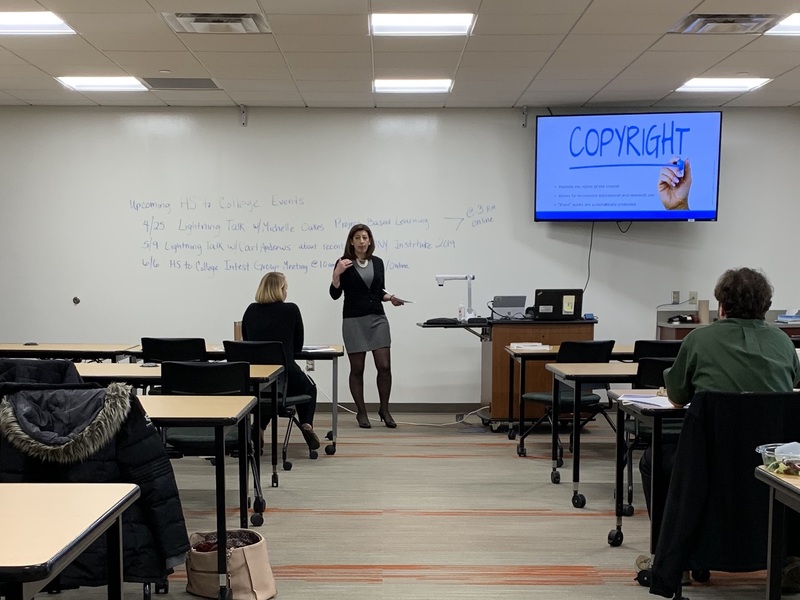 St. Lawrence-Lewis BOCES SLS supervisor Ginger Tebo informed about Copyright for Educators and Thousand Islands HS librarian Melissa Balk presented her HS Digital Research class. Materials from the conference can be found here. 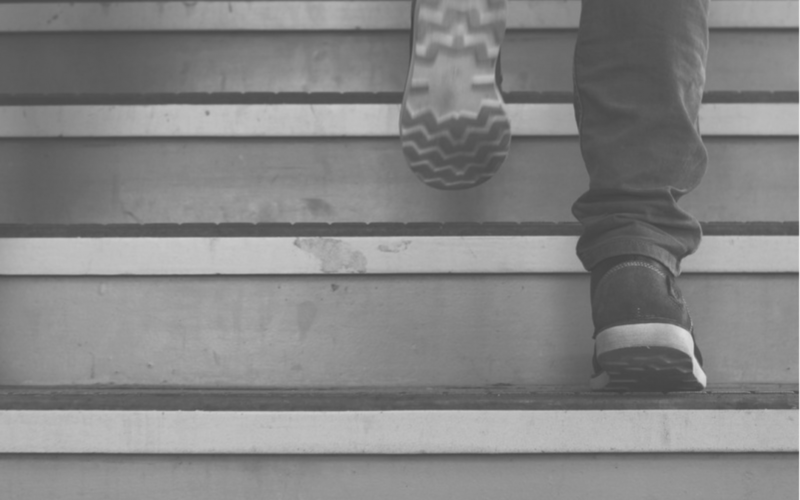 The NNYLN High School to College Interest Group welcomes those interested in this topic to join the discussion – click here to join now.